Join us in the beautiful Okanagan for the third annual British Columbia Chapter of the Paramedic Ride June 4th to June 7th. The 2019 ride begins in the small community of Osoyoos where you will wind your way through vineyards, rolling hills and other picturesque landscapes. Make sure you bring your climbing legs for day two when you travel from West Kelowna over to Vernon, the hills and scenery won’t disappoint. Not only are the farmland vistas and mountain ranges worth the effort but hanging your helmet at the lakeside cabins in Sorrento on day three will be something to celebrate. We wrap it up with a final 100Km stretch to Kamloops on day four to celebrate our achievements and remember those we’ve lost. Please consider joining us for an epic adventure while making memories to last a lifetime. The Maples Waterfront Resort or White Sands Waterfront Cottages. Are you interested in volunteering for the 2019 British Columbia Ride? Click Here. British Columbia Riders have raised $7,625 of their $10,000 goal. To Donate please select a rider below. A cause close to my heart. The feeling of riding with a group of paramedics and a few non-paramedics was indescribable. No matter what hill we climbed or unknown amount of km’s in front of me, the energy and support I felt from fellow riders kept me going. I rode for those who no longer can and have given the ultimate sacrifice-dying in the line of duty. Along with the countless volunteers who kept us fueled and our bikes in good shape, it truly was an amazing connection. Volunteering for the paramedic ride in BC was the ultimate privilege. Life long friendships were nurtured, the comradery is something I’ve never experienced. From the sponsors, to the riders to countless volunteers-one thing is certain…we collaborate in solidarity for our brothers and sisters who have sacrificed their lives while working to save others. We ride for you. We ride in your memory and we finish with your spirit guiding us one pedal stroke at a time. Can’t wait for the next ride! Whether you’re a seasoned cyclist or e beginner, the BC Paramedic Ride will wine, dine and treat you like family! The organizational committee is top notch and consider every single detail imaginable, including vegan and vegetarian meals, charcuterie and wine tasting as well as treating their riders to gift bags full of locally sourced goodies. The route if thoughtfully planned along beautiful and scenic roads, with safety as their main priority. The committee, the riders, volunteers and support staff are supportive, engaging, friendly and encouraging. There’re little surprises along the way, and the team building is like no other. 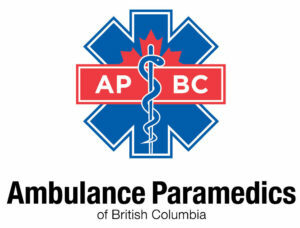 If you’re considering participating in the BC Paramedic Ride, stop considering it and sign up. The only thing you’ll regret is not leaving enough room in your suitcase for more wine!